Decide which areas you want to get treated. Underarms and Brazilian are our most popular, but we can treat any area of the body with dark hair. Read our FAQ page to learn about how our laser treatments work. If your question isn’t listed, give us a call at 630-854-7754 and our laser educators will be happy to help you. You will meet with our medical director who will make sure the laser is safe for you. She can also answer any specific medical questions you have. You are now ready to receive your laser treatment! Shave the area the day before and avoid sun exposure to keep your skin safe. You will be ready for another treatment in 6-8 weeks. Our goal is to permanently reduce your hair by 70-90% in 6-8 sessions. Not all lasers are the same. 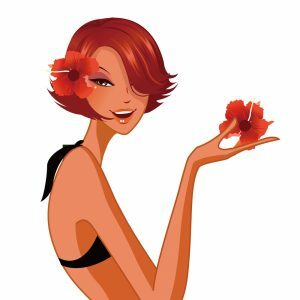 Years ago after being treated with several different types of lasers for laser hair removal, Aloha Waxing and Laser owner Lisa Barounis was impressed by the results of the Candela GentleLase. When it became possible to buy a laser for Aloha, Candela had come out with a newer, improved version called the GentleMax Pro. Inside are two different lasers, selected for their safety and ability to deliver results. If you’ve been thinking about about laser hair removal in Naperville but were concerned about its effectiveness, cost, or safety, Aloha Waxing and Laser is here to answer your questions and give you clear answers about those concerns. Many of us are ready to invest in long term hair removal but need reassurance that we will get the results we’re promised. Laser hair removal is becoming very popular in Naperville as our clients have increasingly busy schedules and time is at a premium. Many people are looking for a more permanent solution for their hair removal needs so they don’t have to worry about their hair at the pool, at the lake, or going sleeveless over the summer. Can I get a full Brazilian laser treatment? Yes, absolutely! 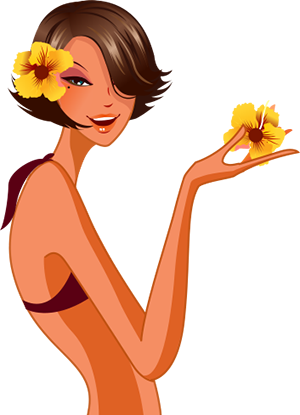 Brazilian laser hair removal is our most popular laser service at Aloha. We can laser the entire area from the front of the bikini line by the navel, all the way to the back between the cheeks. In the last two years, this service has become popular with our male clients as well. There is no risk to the reproductive organs, as the laser is just a focused beam of light, and doesn’t penetrate past the second layer of skin. Brazilian waxing relieves some of the skin irritation that comes from shaving. However, many of us still get ingrown hairs in this area, even with regular waxing. 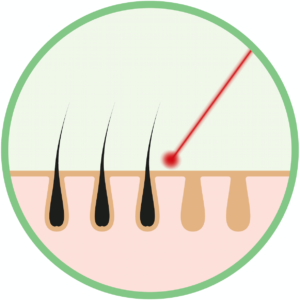 Laser treatments zero in on the root of the hair, preventing it from coming back and irritating the surface. Your skin will become clearer and healthier with each treatment. Take advantage of our Free Consultation. We’re happy to answer any questions you have, in a friendly, no pressure phone call, text, or in-person consult. We have no age requirement, but patients under 18 will need a parent with them during their treatment. 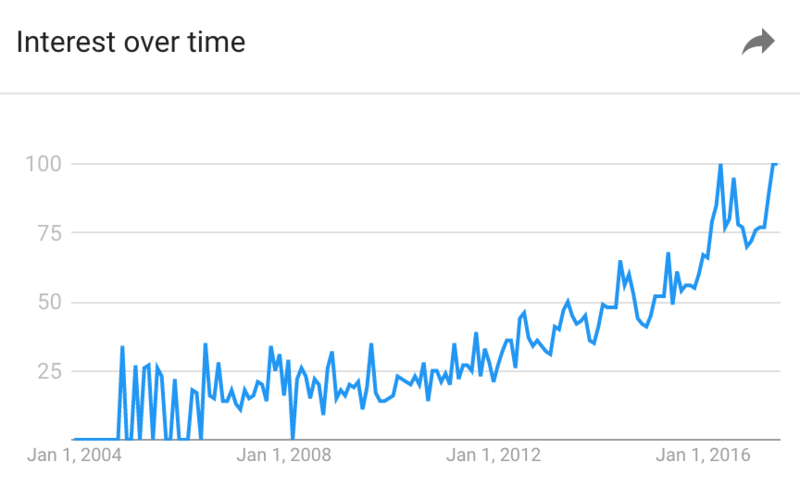 We’ve noticed an increased interest in full body laser hair removal in the past two years. Women and men are both coming in for these services, as they want to get hair removal on their arms and legs as well as bikini areas. We have a systematic way of mapping out the body so we cover every square inch of skin. This means we minimize the chance of missing spots. Our background in waxing means we know where the hair is and we take extra time to make sure we cover everything. Our laser allows for 30% overlap with our pulses, and we keep them as close together as possible, never sacrificing thorough coverage for speed. As professionals we try to book extra time for you so we can cover the full area thoroughly. Whether you are getting a full Brazilian laser treatment, or full body, we want you to have the best results. Our laser is the Candela GentleMax Pro. It contains a YAG 1064 wavelength laser and an Alexandrite 755nm wavelength. They are both solid state lasers. To understand why the two lasers are different it is important to identify your skin type on what is called the Fitzpatrick Scale. This categorization measures skin color and sensitivity to the sun. Our Alexandrite laser is safe for skin types 1-3. That is because it targets melanin. If you have dark hair, the Alexandrite laser will be able to heat and destroy the hair follicle with ideal results. However, if you have a tan or have tan to dark skin, the Alexandrite laser would target the melanin in your skin, possibly causing burns or hypo-pigmentation (white spots.) The Alexandrite laser is an excellent laser but is not safe for all skin types. That is why it is so important to be honest with your laser technician about the last time you’ve had prolonged sun exposure or even spray tanning. This is also why we cannot use the laser on tattooed areas, because the pigment in the tattoo will absorb heat and possibly burn the skin. The YAG laser is a more versatile laser because it can treat all skin types, including types 3-6. The wavelength it uses does not target the melanin in the skin. It bypasses the surface of the skin, acting in the deeper layers to destroy the hair follicle. This makes it safe for all skin types. Our clients who need to use the YAG laser may need 2-3 more treatments to achieve their desired result. 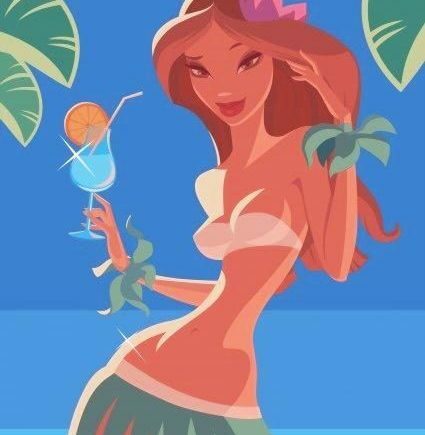 Therefore Aloha Waxing and Laser offers 50% off after 6 treatments. If you have tanned within the last month, but not in the last couple of weeks, this is the safest laser for you to use. You can call us anytime to speak with one of our trained laser technicians. 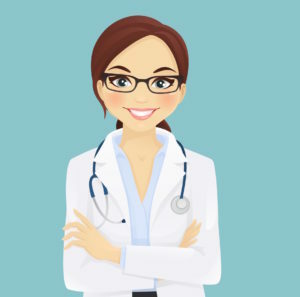 They will be able to help you select the treatments and packages that are right for you, advise you on how to prepare, and schedule your consultation. During your consultation, our doctor will discuss your medical history to make sure you are a good candidate for laser hair removal. After that, you will schedule your appointment for laser hair removal treatment. At your first treatment session, you will meet with your laser technician, Lisa Barounis. After some education about the laser and listening to your needs, she will perform the laser hair removal treatment. She will use a small handpiece to deliver the laser pulses onto the desired area. Some patients may feel a slight discomfort with each laser pulse, sometimes described as a snap of a rubber band on the skin. Discomfort is resolved quickly and minimized with the patented Dynamic Cooling DeviceTM. Topical anesthetics may be used but are often unnecessary. After your laser hair removal session, you should see the hair begin to fall out within 7-14 days of your treatment. Your next appointment will follow in 8-10 weeks. Each time, you will see less and less hair. Any medical procedure has some risk. While complications from laser hair removal are rare, they are possible. We do a thorough history and medical review to make sure laser is right for you. Your safety is our main priority, and we never want to put anyone at risk if they are not a good candidate for laser. Some medications cause photosensitivity, making your skin sensitive to the sun. If you are on a medication that causes this sensitivity, your skin can be irritated or even burned by the laser. Some medical conditions are also contraindicated for laser hair removal. Those who carry the Herpes Simplex virus may be at higher risk for outbreak after laser treatment and may need to see their primary care physician for prophylactic antiviral treatment before their laser treatment. Patients who have taken a course of Accutane must wait a full year to receive laser treatment, as Accutane severely compromises the skin integrity for several months after treatment has completed. We cannot treat skin that has been exposed to the sun. It is very important to be thorough and honest with the doctor during your evaluation so we can prevent complications. Your health comes first, and we will do everything we can to work with you to make your treatments safe and effective. All laser hair removal prices are per treatment. Any treatments after 6 will be 50% off for up to 2 years. ©2017 Aloha Waxing Company Ltd. All rights reserved.